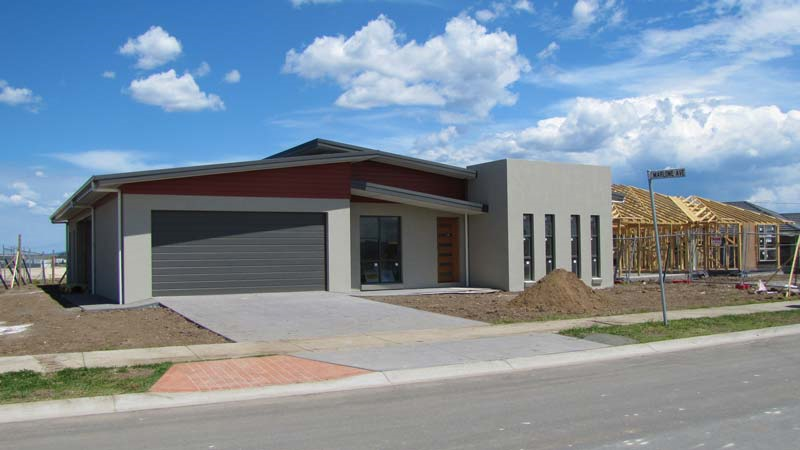 From site preparation to lock-up in just 10 days – that’s the story of a recently completed precast concrete panel home in the NSW Hunter Valley. The display home at Huntlee is a showcase of speedy and quality housing construction. The builder, Burke Engineering Services, has extensive experience in precast concrete construction in commercial markets. With this background, it’s developed the Panel Homes solution, a patented precast building system. All external, load-bearing walls are precast concrete panels, made in a factory to precise engineering specifications. The window openings and lintels for both doors and windows are all pre-made and part of the panel. 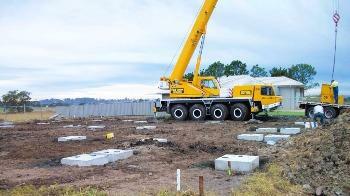 The Huntlee display home went up safely and seamlessly using the Panel Homes system. After the site was cleared and levelled, standard precast footing pads were placed according to the precast wall panel layout. The panels were delivered to site and lifted onto the footing pads by crane. These structural components were then plumbed, squared, temporarily braced where needed and fastened into place. Next, a top plate was fastened to the external walls and the roof trusses fixed to it. As the roof was completed, the whole inside area became a dry zone, providing a safer workplace for the remainder of the build. Temporary bracing was removed once the roof was installed. 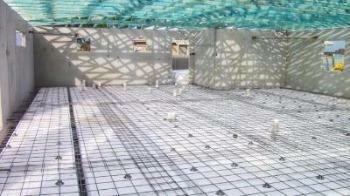 An insitu waffle raft concrete slab was then laid, using a concrete pump to spread the material. During this phase of construction the roof and precast concrete walls acted as weatherproofing, significantly reducing the risk of dusting from rain and plastic shrinkage cracking from wind. 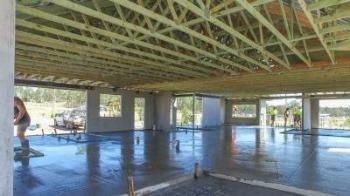 The result was a high quality interior slab finish. Once the slab was cured, the internal wall frames were installed and windows and doors fitted. 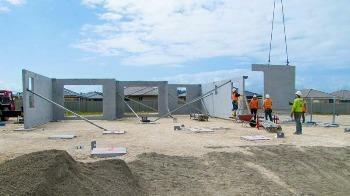 On the tenth day, the structure was complete with a water-tight building envelop. Following trades then completed the fit-out. Total construction time was just 10 weeks, including Easter and ANZAC Day breaks. From the builder’s perspective, the speed of construction of the Panel Homes system has obvious advantages in terms of positive cash flow. The pre-fab nature of the system also means less building waste on site, which makes for a cleaner and safer site and a smaller environmental footprint because there’s far less waste to remove and dump somewhere as dirty fill.